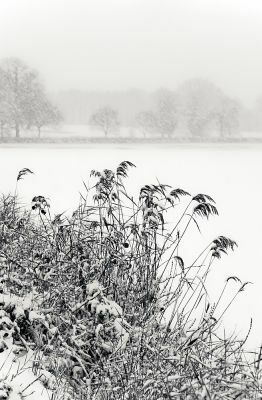 Caught in a snow storm on a lake in Norfolk, UK. Limited Edition Giclee Print. Signed and Dated.